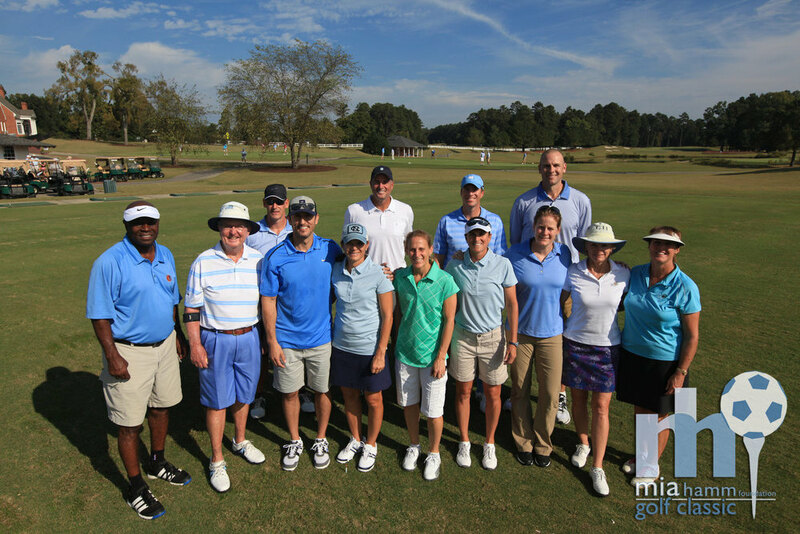 Thanks to many wonderful sponsors and guests, the Mia Hamm Foundation was able to host another successful Golf Classic on October 1 - 2, 2014 in Chapel Hill, NC. The funds raised will benefit the Garrett J. Hamm Fund at UNC’s Lineberger Comprehensive Cancer Center and the SECU Family House at UNC Hospitals. Mia was joined by celebrity participants, including: BJ Surhoff, Carla Overbeck, Eric Montross, Heather O'Reilly, Kristine Lilly, Cindy Parlow Cone, Phil Ford, Jay Bilas, Crystal Dunn, Anson Dorrance and Dan Jansen. On October 3, 2013, Mia was joined by other celebrities, friends, sponsors, and supporters for the annual Mia Hamm Foundation Golf Classic at UNC's Finley Golf Course in Chapel Hill, NC. The event raised important funds for both The SECU Family Ho use at UNC Hospitals and the Mia Hamm Foundation.